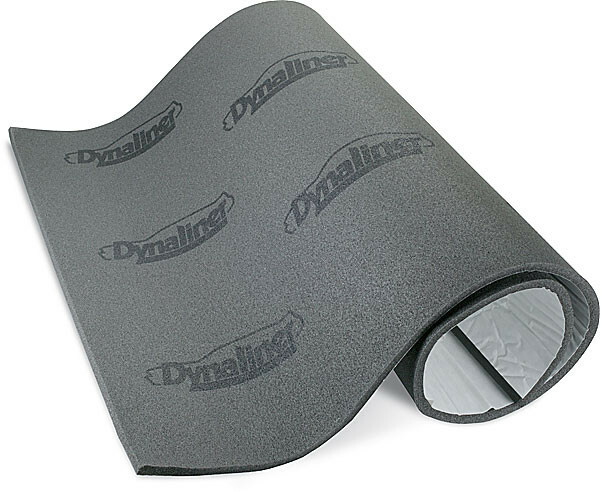 "Dämmung, Schaumstoff, selbstklebend, 1/4″ Dicke, 54″ x 32″"
Dynamic Control Dynaliners are general-purpose, one-layer, reticulated acoustic foam used for attenuating low-frequency noise. Dynaliners have both open and closed window cells to accept sound waves and dissipate them within the cells. They provide high-acoustical absorption for a variety of vehicle applications, including the floor, roof, doors, and quarter panels.